I’m one of those people who excitedly awaits their copy of the American Libraries magazine every two months so I can read up on all the cool stuff people are doing in our field. In the May 2018 issue there is an excellent article by Meredith Farkas called Get Out of the Library: Embedding Librarians in Our Communities. Coming from an academic library stand point, Farkas talks about the concept of embedded librarianship which situates librarians within their communities so that patrons don’t necessarily need to come to the physical library to get help. She gives a few examples of how this model works in different types of libraries; for example, public library staff attend local community events to share books and answer questions. She states that “embedded librarianship is about building strong relationships within the communities libraries serve and requires a deep understanding of the needs and habits of our patrons.” I wholeheartedly agree. What Farkas calls embedded librarianship I’ve known under the phrase community-led librarianship. The model and philosophy is similar. I highly recommend reading The Community-Led Libraries Toolkit for concrete strategies on how this model works. Being a community-led library means investigating barriers to library service, especially for socially excluded communities, and finding ways to empower those communities to be involved in the planning of future library services. It requires library staff to be embedded in the community as relationship building is crucial. It is slow, sometimes difficult work, but absolutely necessary in helping the library be a force for social justice. At my library we have community librarians whose major job responsibility is to be out in the community, but children’s librarians are also expected to do community-led work. At its best, this model involves all level of staff in community outreach efforts. 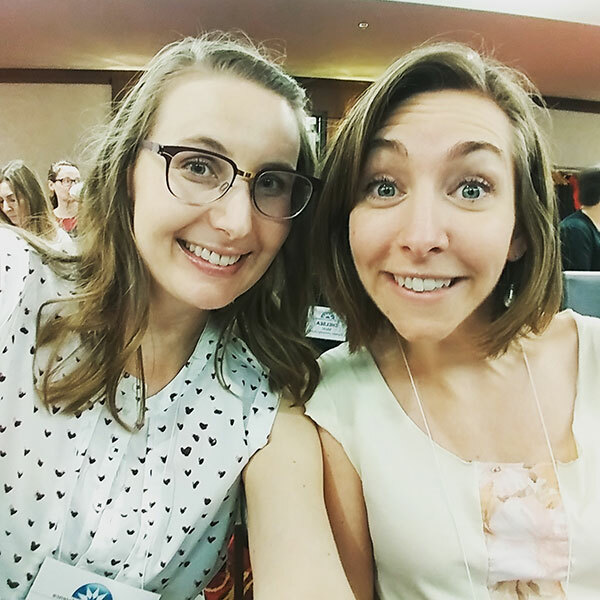 A few weeks after reading the articles by Farkas, I came upon another article on the Association for Library Service to Children (ALSC) blog about community outreach. This one is titled Getting Creative: Utilizing Volunteers in Early Literacy Outreach. The title alone gave me pause, but reading it through filled me with many questions and concerns. It sat in stark contrast to the first article I read where outreach is seen as a key and critical role of our job as library staff. I wanted to take some time to dive into the post and the broader problem I see with regards to children’s librarianship specifically and outreach. In the blog post, the author begins by noting that her library is “working with too few staff and is receiving more requests for outreach visits.” It’s an unfortunate reality that many public libraries are understaffed. This library’s solution was to enlist volunteers to fulfill these requests for outreach visits. The author notes that they worked with their Human Resources department to “determine that providing outreach storytimes was an acceptable task for a specifically trained volunteer because it is not an essential service and it is an expansion of services initiated and managed by the library staff.” [bold text added by me]. And that folks is where all my questions begin. In the very next paragraph the author says the volunteers are managed by the Youth Services & Outreach Librarian. How is outreach not an essential service if it is literally in the name of one of the jobs at this library? Is this not what the Youth Services & Outreach Librarian spends a huge chunk of time doing in her paid position? Even the fact that an “expansion of services” can be done by volunteers is worrying to me. Why would the library ever need to hire more youth services librarians when all that extra work is now done by volunteers? It doesn’t even matter if the volunteers are already knowledgeable about early literacy. Sure, that will make the visits more successful for the kids. But it does nothing to advocate for our unique positions as paid library staff members who bring value to our community. We are outsourcing our jobs for free and we’re somehow excited about it. Another thing that worries me about the use of volunteers for library outreach is the move away from relationship building, the key component of community-led libraries, towards a system of “wine and dine them” for preschools and daycares. When I visit preschools and daycares I am doing much more than just a storytime. I am investigating the level of need among their kids and their space. Do these kids have regular access to books? What library resources can I further connect them to to continue to support their literacy after my visit? What is their neighbourhood like and what resources are nearby? Is there potential for another sort of partnership between the library and this group? What training is needed or wanted by the preschool teachers themselves? These are the in-depth questions we ask when we do outreach as part of our job. I’m sure a volunteer could be trained to ask some of these questions, but they will miss the bigger picture of how this visit fits into an overall strategy of serving a distinct library user group. Sending volunteers also assumes a one-sided relationship between the library and the centre (i.e. the library has something to offer and the centre is there to consume). These relationships are shallow, often short-lived, and do not help build community relationships to the same degree. Do as much outreach as you can. Manage your time so you are getting out of the library if possible. Keep detailed records of who you can’t reach for whatever reason. Use these numbers to advocate for more staff! Prioritize who you do visit. I highly recommend using the community-led model to assess need in your neighbourhood. Think critically about which groups you visit, how often, and how to build a positive relationship with them over time. Connect groups to other library resources. My library has storytime kits with books, felts, puppets, toys, and music all on a theme that preschools and daycares can check out. We also offer boxes of discarded library books that can be rotated out yearly. What other services does your library provide that are applicable? Nothing’s going to be the same as an in-person visit, I get it. But that’s not all the library has to offer. Bringing in volunteers to do the paid work of a youth services staff member isn’t creative. It’s scary. I believe embedding ourselves in the community is part of our jobs. How can we creatively make this happen without devaluing our profession? Thanks for the thoughtful and bracing post. You are soooo right. The devaluation of youth services staff and their skills continues across the decades. Keep fighting. It is not only scary – it’s demoralizing and moreover I strongly believe it is not at all what kids, families and caregivers need from public libraries. They deserve professionally trained staff. We wouldn’t tolerate volunteer teachers in our public schools – why are we tolerating them in our public libraries? Exactly! And I should have known you’d already blogged about this. You are an all-star advocate! This was such a timely post for me! My position as the associate children’s and outreach librarian was added to my library last fall and, because it is new, didn’t have a lot of defined goals or guidelines–I’ve been inventing it as I go! Since I started in October (with some maternity leave thrown in for good measure), I’m never lacking in things to do. I mainly visit day cares and preschools to provide storytimes, but also attend school open houses, family/community events, and will start to do more “pop up” library activities (mobile programs and check-outs in community spaces). Basically, wherever I can find a need or an invitation, I’ll go. I hate to say no to any opportunity, but I do worry about over-committing myself–it definitely helped to read over the Community-Led Libraries Toolkit to get some perspective. Thanks for the info! Happy to help 🙂 Defining goals and priorities of a new position is a challenging job – sounds like you’ve got a good grasp. 100 % agree! Thank you, thank you! I’ve definitely noticed a trend in utilizing volunteers for storytimes, especially within large library systems who are struggling to meet all the demands of their communities, like my neighbor library system down the road. So many people love this idea but I’ve been scratching my head at this for a while now. Already as it is, children’s librarians are having to prove that what they do really matters and it’s not just free entertainment for kids. How will this move towards volunteers help our cause? It’s wont. It definitely won’t. And I do understand the desire to be able to serve everyone all the time. It comes from a good place. Unfortunately, choosing the route of volunteers is demoralizing and ultimately bad for our job security. I have worked in outreach for several years, and during that time talked to many others in the field and closely followed job postings, and what I have come to realize is that Outreach in general is highly undervalued, understaffed, and underappreciated, regardless of what population the outreach is to. Outreach positions are much more likely to not require an MLS, and to be paid less than similar positions within the library. In my position, I am doing arguably librarian-level duties with no day-to-day supervision, a great deal of independence, responsibility, and discretion, yet my title and pay grade are equivalent to that of a circ clerk. No one in my dept is required to have an MLS or is titled as a librarian, except the manager. We are very understaffed, having had two positions cut, yet are being pushed to increase services. And by that I mean increase statistics by spreading services so thin that I question whether they have any real effect or just become a novelty. In a nearby system, two positions were posted within a few months of each other, one for a children’s librarian and one for an outreach librarian. The job descriptions were slightly different, but roughly equivalent, the skills, educational, and experience requirements were identical. But the children’s position paid about $5-8K more than the outreach, even though the were both entry-level librarian positions requiring an MLS. I see this pattern repeated over and over. So if youth services and early literacy programs are undervalued (no argument there! ), outreach services are even more so, and early literacy outreach is the most undervalued of all. I have worked with volunteers to deliver outreach storytimes, and in the long run, it just doesn’t work, and I agree, devalues the profession, youth services, and outreach services all three. Thank you for adding this insight! I feel like outreach in general being undervalued has to do with a traditional focus on the physical library as the main/only space where library service can take place. One thing that frustrates me about ALSC guest posts is that they can be completely devoid of context, leaving us to try to figure out how and where what was shared fits into that particular library, its mission and its culture; and this post definitely left readers filling in the holes. It is unclear, for instance, where “it is not an essential service” came from but I would doubt it’s a part of any youth services team’s fundamental driving philosophy. Volunteers are utilized at many of my member libraries, with one library recently celebrating a 20 or 25 year anniversary of the well-oiled machine known as BookShare. Their league of volunteers receives a credentialed training of Every Child Ready to Readby a Oregon-Registry accredited standardized trainer. The outreach librarian keeps the program running and connects with centers forming deep, long-term relationships with staff that last through director changes. The embedding of the library in the community is happening, just in a different way. The volunteers are part of the library. You know that I value and advocate for full-time library staff, and have written a post intended for higher administration before. This may be the intended audience for this post, so if I’m interpreting it wrongly I apologize. I truly appreciate your suggestions and I hope library staff with the autonomy to restructure their work time, the ability to do outreach, the support of administration, and the desire to do more outreach programs as staff members will take them to heart. If these things aren’t in place and they want to reach the largest number of children they can, volunteers are an option they may have not considered. Thank you for adding your thoughts, Bryce! I agree that the lack of context in ALSC blog posts is frustrating. With that said, I took the blog post I am responding to in particular as a lens to look at the growing trend of using volunteers to do outreach. As you note, it is not even a new phenomenon – 20 years even! To me, it doesn’t matter how much training or supervision volunteers receive. What matters is that those volunteers are doing the work that should be filled by a paid library position. In your case, I would advocate for more paid outreach librarian positions rather than one outreach librarian who manages a score of volunteers. Once these volunteer systems are in place though it seems near impossible to argue for more paid staff. That’s the danger I’m talking about. I’m also very aware of the library situation in the U.K. where library staff have been replaced by volunteers who are viewed as being able to provide the same level of service. I agree that volunteers can be part of the library – we have a crew of volunteers who run things like our library booksale. But thanks to a strong union our volunteers do not provide services that are also provided by a paid library staff member. To me, that’s the sticking point and where I see our work being devalued. This post is meant for anyone working in a library, not just administration, as I feel we should all be advocates for our work. Though I know you disagree (which is fine! we can disagree), my message to those who want to do more outreach is to not consider volunteers as a viable option for the long term. I truly can’t help but continue to think about this post, and truly in my former position I would have agreed with you whole-heartedly, since my only experience was in a well-funded city library. I attempted to Google how libraries are funded in Canada and having a hard time pinpointing the difference, if any. Are there community libraries, unattached to a government? Libraries whose funding depends on levies? Having watched several Oregon libraries shutter their doors over the past years, the scarcity model you propose would not work here. What works is increasing visibility and demostrating value and it might sound counterintuitive but the use of volunteers ensure stable or increased funding in many cases. I am saddened to hear that you think the work done by our local community library is detrimental because that’s the complete opposite of what is happening. That community library actually has one of the largest youth services staff teams in the county, and I would expand on “what they do all day” but I assure you it’s a lot. Another community library started as a completely volunteer operation, and over the years has worked to fund itself. Now it is a member of our Cooperative and is thriving with several full time non-volunteer staff members, with circulation and programs increasing every month. I’m wondering if funding sources and the reality of advocating for more funding by consolidating service is where my disconnect with this post lies. This is such an important conversation! Thank you for writing this, Lindsey! I understand why there are so many libraries that are excited about the idea of utilizing volunteers for outreach, but that is such a slippery slope. There are already some libraries that are completely volunteer-run, and I’d hate to see that trend continue. One thing that really bothers me, though, is that the devaluation of children’s librarians (and outreach librarians too!) is not a new thing. For the longest time, children’s librarianship has been viewed by others in the profession as an easy job in which we just make crafts and read to kids. I know there have been many, many advocates for what we do, and I do believe that there are others outside of children’s librarianship who recognize and respect our hard work. But we have a long way to go. Yes! I have been pondering it too. I see this post as mostly an advocacy post for all of us who do outreach and what a vital service this is that we offer as paid library employees. It is unfortunate to see so many people within our field advocate for the opposite. While I can see your point of view, I am disappointed that you devalue the role of volunteers in libraries. As a woman and a mother who prioritized reading out loud to my children from the time that they were babies, I believe that exposing children to reading from many voices is important too. From my perspective, this doesn’t demean the value of the children’s librarian who is in charge of collection decisions, plans the programs that the volunteer reads in and selects the actual books read. Our children and our communities benefit from the librarian’s leadership and professionalism, as well as the the volunteer’s participation. I don’t believe I devalue the role of volunteers in libraries. We utilize volunteers at my library in many different ways that I agree with. The key is – they don’t do work that is already being done by a paid library staff member. That’s where the conflict arises and where our paid library jobs become something that can be replaced over time by unpaid volunteers. I am thinking more of the long term job security for those of us who work in libraries. Exposing children to many different voices and people in their neighbourhood is important, but I don’t see that as having much to do with the point I am trying to make. You can have as many friends, family members, community members, etc. read to your kids as you want. My point is that the if they are doing it on behalf of the public library they should be paid to do it as it’s an essential service. The more we give these services to volunteers, the more our library boards and local governments can justify not needing paid library staff to deliver these services in the future. We LOVE volunteers at my library. Many of them are skilled and experienced with working with kids. In some cases, our volunteers may have more years of experience than our paid staff. At the same time, our volunteers do not have the same knowledge that staff members have as far as library services. For example, there is a very reliable, experienced woman who volunteers to help with my baby classes. I still lead the class, but she helps with passing out props, making sure little hands don’t walk away with my books, and other classroom management type things that make for a smoother babytime experience. I would absolutely trust her to lead the class in my absence because she is familiar with the format, has early childhood education training, and is very reliable and approachable. But despite being well qualified to lead the class, she doesn’t have in-depth knowledge of our collection. She doesn’t know what events we have planned that afternoon. She doesn’t know our circulation policies. I’m almost always asked at least one question after class that she would not be able to answer, and that we could not reasonably expect her to answer because it would be asking too much of someone who isn’t getting paid. I personally feel like being able to not only answer these questions but to proactively share them with people improves customer service, helps better connect people to the resources that would benefit their families, and helps promote the library. I’m not specifically speaking about outreach here, but I think a lot of this would still apply. All that being said, because we don’t typically have volunteers lead programs unless it is some sort of community partnership, the reality is that we don’t have very strong outreach, because we don’t have the staff to adequately plan/lead our in-house programs, work the desk, etc. if we send people out regularly. We have been hoping for additional staff so we can improve our outreach services, but I’m not sure how likely that is. I won’t hold my breath. I personally wouldn’t advocate for volunteers providing outreach (but can’t blame libraries that do), but I think it would be worth discussing how we can use volunteers more effectively and where our service priorities could be adapted. Great piece, Lindsey. One way that we can continue to add to our value and the value of our field is to be ready at all times with an elevator pitch. Thanks to my amazing professor, Jenna Nemec-Loise, who taught me this critical skill. This infographic illustrates and teaches us how to do just that. Thanks so much for sharing, Emily! That really breaks it down into manageable chunks that are easy to remember. clerk could do it, why can’t this kid-friendly volunteer do it?) ? I guess it all ties into the devaluing of the profession. couldn’t offer it every weekend – we could just find a circ clerk to do it. Hmmmmm…. 2. I am also trying to navigate supply vs demand in outreach. Your thought about “prioritize who you visit” got me thinking (and admittedly, my library has a lot of work to do on assessing and honing in on need) . We have a largely middle-to-upper-middle class community, and I spend a lot of my outreach time fulfilling multiple requests from the same preschools and schools that have asked for and received multiple programs for years. Often, these are not where need is. Do you think it makes sense to set up a procedure or boundary on services for these “regulars”? What has worked for others who need to rein in some of these low-need, high-demand groups? Is it wrong to limit these groups to x programs/visits per year? I would love to free up resources to address true needs but I don’t want to hurt partnerships or make unfair or overly-restrictive policies. 3. Dare I say this disagreement reminds me of the charter school argument: we don’t have the resources we need, so we’ll risk decreasing and devaluing those even further just so we can risk using available yet unproven (and probably inferior) resources.